If you are stressed, welcome to the club. It’s not an exclusive club. Far from it. We are millions strong and growing by the second. Think I’m kidding, just look at the news on any given night. While this article is nice and long with lots of info, it really all comes down to knowing what YOU are stressed about. See, if you understand what you are really stressed about, it will give you keen awareness in to how to relive stress on a personal level. Take a Deep Look Into Yourself. Are you a chronic worrier? Have you just been laid off from your job? Do you have debt that you obsess over? Just get a bad diagnosis? Find out you need to move to a new city? Have a death in the family? Getting married? Getting divorced? Kids going to college? Kids home from college and living with you again? Parents move in? Did your car die? Do you think you might get a horrible disease? Maybe get in a car accident sometime? Maybe we’ll have nuclear war? Yeah, it’s a crazy world. Take a minute to see what you’re stressed about. Chances are, you already know, and that’s why you’re here. If not, write it down and get comfy with it. Do You Have a Way to Deal With Stress? There are as many ways to deal with stress as there are stressors. Some people drink heavily, others take drugs. Some work themselves to the bone, while others crawl up in a ball and dissapear. Some over-eat, others watch Honey Boo Boo, and still others take out their stress on others, which is unacceptable. While self-medicating can feel good, it’s horrible in the long term. Let’s learn how to relieve stress using some healthy and natural techniques. 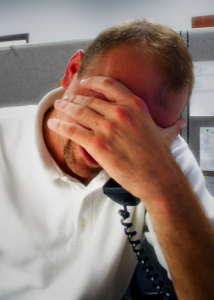 There are four logical ways to handle stressors. When they show up in you life, you have these four things that you can do about them. They are avoid, alter, adapt, and accept. We’ll detail each below. This is probably the easiest one. Simply take yourself out of a stressful situation. Plan ahead. If you know that a project is due on a certain date, leave yourself plenty to time to do it. Is the rain going to make traffic a mess? Leave earlier in anticipation of the traffic. Learn how to say no. It’s noble to be the person who always volunteers and does freebies for friends. That’s cool, but at some point enough is enough. If it’s stressing you out, tell people no. You don’t need to be the person who does it all. Lighten your load. For those times when you can’t just turn things off, you need to be able to cope. This is where altering stress comes in. This is where you tell people to stop bothering you. This is where you change up your schedule and get better at managing your time. Group similar tasks together. Let others know that you don’t have much time available. While this helps, it doesn’t eliminate stress and it’s still there. You can even create more stress for yourself in just trying to alter your stress. It’s not easy to tell people to stop bothering you, and it’s not easy to manage your time. This is the second most mindful approach. This is where you realize that there’s stress in your life and it’s just part of it all. Here is where you can forgive yourself and others. It’s also where you can take time to learn from mistakes, both yours and others. Realize that nobody is perfect. Practice empathy. Talk to friends about your stress. Reach out and find help. Accept that you have stress! It’s normal. Here is where you use mindfulness. This is the place where you learn to work with your stress. You seek to understand your stress at the core and in doing do, undo the hold it has over you. This takes work, and meditation helps a great deal. Things like reframing, mantra repetition, affirmations, big-picture thinking, and changing your standards work well here. Look at your stress from a neutral standpoint, or visualize yourself so far removed from the stressor that it seems so insignificant. I love looking at all the thinspo and fitspo graphics on the web. They make this all look so easy. “Just get healthy”, they say… HA! If it were only that easy, we’d all be running triathlons. That said, there are certain things that you can do that will help you feel better, less stressed, and more relaxed. Just a simple routine will help. Exercise releases endorphins and helps your body flush out toxins. You’ll feel better, even with just a little bit. If you don’t exercise right now, start small. Make a committment to walk one staircase a day. Do that every day, just one staircase. It adds up. You’ll build a habit and see results down the road. There’s nothing that can beat stress like a good sleep schedule. Make it a habit to go to bed and wake up at the same time each day. While it’s incredibly difficult, again, make small changes incrementally until you are on a good schedule and you get enough sleep. Sleep is when your mind sorts out things you’ve learned and builds long term memory. It’s also when your body and muscles rest and recharge. Losing this precious time can result in agitation, which will cause more stress. Also, try to limit looking at your smartphone or reading a tablet before bed. Recent studies have shown that the quality of light from these devices can mess with your sleep cycle. If you read before bed, stick to real books or something like Kindle e-ink. Drink enough water. Your body will thank you for it. Dehydration can cause irritability, lethargy, and headaches, which can all increase your stress levels. Learn to meditate. Recent studies have shown that meditation can rewire your brain for the better. Meditation can also relax your mind, which in turn will relax your body. It helps to start small. Five minutes a day consistently will yeild positive results. You can always increase the time once you have a solid and consistent practice under your belt. Worrying is living in the future and different from planning and preparation. It’s a big “what-if” game that seldom results in anything productive, and more often than not causes stress and anxiety. It’s best to get a grip on your worrying if you can, thought it’s not easy right off the bat. With some of these techniques, you should see some progress. Trying to stop worrying actively will just make you think about what you’re worrying about more. It’s a big “what-if” game. You worry when you imagine the worst case scenario. That makes you feel like you have to worry and obsess about it cause in doing so you might find a solution. You don’t want to miss any possibility for solving your problem. Worrying is really just avoidance of imagined future pain. You imagine suffering and want to do anything to avoid it. You don’t want to be surprised by anything, so you ruminate over possibilities and worst case scenarios. You justify rumination because you think you’ll figure things out. Imaginary scenarios exist in your head. They are all of your “what-ifs”. What if I get a disease? What if I fail that test? What if I never meet the right person and get married? What if I get pulled over and get shot? These thoughts can cause us to cycle through all the possibilities and worry about them. They are usually caused by fear. Many people can actually have full blown panic attacks just by thinking and ruminating over these “what-if” scenarios. Real obstacles are there right in front of you right now. Things like your car breaking down before your first day of work. Or your cat having convulsions right before a big vacation. These things come up but you can plan and solve these problems. You don’t have to worry about them. They are right there and can be solved with creativity. Both cause stress, but the imaginary one is more illusive. Here is some advice for stopping this worry train dead in it’s tracks. You can use planning here to alleviate a whole lot of needless worrying. Instead of worrying, make a plan. Write things down. Follow a logical pattern and put things in place in case things happen. You’ll feel way more confident and know that you have a plan. You’ll stop worrying so much. If you worry about getting sick, make a plan and find doctors that deal in those things. Make plans concerning what to do for your family, etc… You’ll be more prepared and can put it out of your mind. You can do this even with things that you think you can’t prepare for. While true that no amount of planning can prepare you for some things, at least you can stop worrying about them for a while. Mindfulness allows you to understand emotions and feel. Hiding from pain in your head while worrying doesn’t work. It makes the worrying worse and buries emotions under layers and layers of other emotions. The worry tree digs deep roots. You need to accept that life is uncertain. You are not always in control of circumstances, but you have incredible power over how you react, whether you believe you do or not. Realize that worst-case scenarios seldom come to pass. It’s usually a mix of good and bad. Plan for the bad and release your stress. Above all, accept worry as normal. We all do it from time to time. The trick is to not let it consume you. You don’t need to be locked in fear if you plan for it. Even if the worst doesn’t happen, you can put it out of your mind knowing that you have a plan. Of course, this is all assuming that you don’t have a chemical imbalance or underlying medical condition. For that, you really should see a specialist who is licenced to practice medicine. There’s no shame in taking pills if they help, regardless of what ignorant people like to spout off about. Black or White Thinking – Looking at the world and circumstances as only having two possibilities. Good or bad, liberal or conservative, right or wrong, ritcheous or damning, hot or cold. The reality is that most things are a shade of grey. Learn to see the grey. Overgeneralization – Expecting that because something went wrong once it will always go wrong for you. It seldom does. The Downer – Accentuating the negatives. This is the “glass half empty” mentality. Kill The Gift Horse – Attributing all success to just pure dumb luck while always thinking that your next big screwup is just around the next turn. Jumping to conclusions – Interpreting your version of reality without any evidence. Blowing Things Up – Always expecting the worst to happen, as if by doing so you’ll reverse-jinx it. This is superstition on steroids. The Shoulds – Living by strict self-imposed rules that may or may not be good for you and being inflexible about them irrespective of circumstances. Labeling – Giving yourself negative labels. Taking Responsibility for Everything – You blame yourself for things that are actually way out of your control. Identifying With Emotions – Believing that what you feel reflects reality. It seldom does. Check out this course for great ways to deal with this stuff. Have you ever seen Debbie Downer on Saturday Night Live? She is always taking a conversation and adding in her extreme pessimism. Comedy is funny because it’s true. There are many people like that. You can find these people everywhere, and especially on talk radio and cable news. You know, the blowhards who spout off their garbage and hate speech. How do you feel after listening to them? It can be a very polarizing and anger provoking experience. It’s like that by design. It sells ad space. You don’t need to get sucked into that garbage. Spend your time with a good book, or people who bolster your self esteem or teach you new things. Not negative people who seek to bring you down to their level. You’ll end up stressed, and the roots will bury themselves so deeply in you that it will be hard to dig them out when you’ve finally had enough. It’s best to get rid of this stuff early on. That is, unless you want to use it as mindful practice, but that’s a whole deeper level that I discuss in my email subscription. Practicing mindfulness is the key to unlocking almost all of your problems. It teaches you to see what your mind and body are doing from moment to moment. It gives you the space between thought and action that can free you from almost any bad habit, including stress and anxiety. There are so many articles on this site that discuss it, and I recommend starting here. 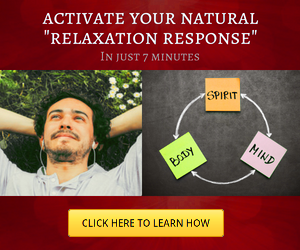 Progressive muscle relaxation is simple and powerful. It’s name tells you exactly what it is. You basically relax each muscle in succession. This is very useful in getting your body primed for meditation, hypnosis, sleep, or many other relaxing activities. It can also trigger your relaxation response, which is a wonderful benefit. Find out how to do it here. Autogenic just means generated from within. This technique was developed by Johannes Heinrich Schultz around the early 1930s and involves visualizing heat and heaviness in an attempt to relax yourself completely. It also involves canceling out the states of heat and heaviness. Cancelling should be learned first because autogenic effects are generated from within and cause physical states to occur that need to be undone when you come out of the exercise. Find more about autogenic training here. We often breathe very shallowly, and don’t use the full capacity of our lungs. When we get stressed, this gets even worse as we might tend to hold our breath, especially during the fight or flight response, which many of us live in a chronic state of, without even being aware of it. Therefore, it’s good to remind ourselves to breathe, and so so deeply. Find out more about deep breathing here. Visualization is a powerful stress reliever. It’s amazing what you can make your mind believe. What is more amazing is how your body physically reacts. 1. Sit for a minute and close your eyes. 2. Picture your favorite food. 3. Imagine the smell in the air as you’re getting ready to eat it. 4. Imagine that it’s right in front of your face. 5. Feel the taste on your tongue. 7. Are you salivating? You can actually make this happen. Drinks such as Chamomile Tea, Valerian, and Kava can do wonders for calming you down. They are inexpensive and work. Find out more about relaxation drinks here. Good electronic and manual massagers are great for relieving stress. There are so many to choose from. I will be putting together a review of the better ones soon, so bookmark this page. 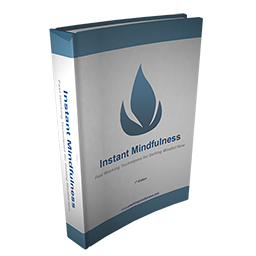 If you want to learn how to use mindfulness to eliminate the affects of stress in your life, I urge you to read about mindfulness here. 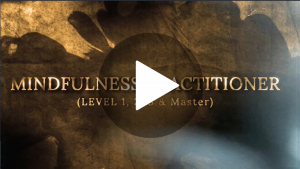 It’s a flow that you can follow for free and learn to integrate mindfulness into your life.